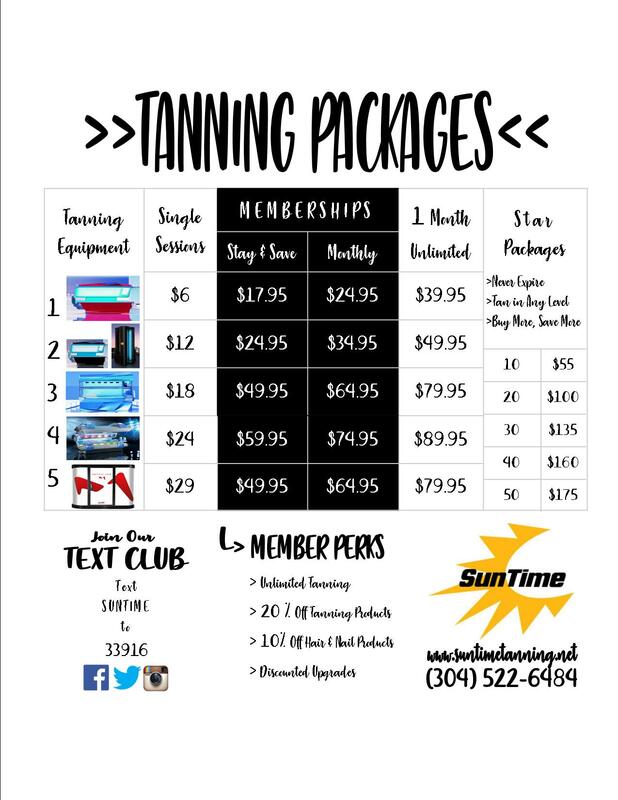 Sun Time Tanning memberships are our most convenient and inexpensive way to tan. Members get to tan unlimited for one low monthly rate. 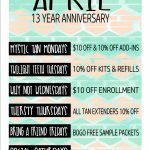 Also, members always get a 20% discount on tanning products and discounted upgrades! We have 4 memberships to choose from it just depends which beds you want to tan in. Memberships are perfect if you plan to tan more than 1 month. You can sign up for a membership anytime. On your sign-up day you will just pay the $20 enrollment fee and the pro-rate for the rest of the current month. Then the automatic payment will draft from your account on the 1st of the next calendar month. You can choose between a monthly membership that can be frozen or cancelled after the first automatic payment or enjoy a lower monthly rate with our “Stay and Save” memberships, these require a 6 month minimum commitment. This is an open-ended agreement, that means the payment will continue to draft on the 1st of each month until you complete a written cancellation form at Sun Time. When you come in to cancel, you will receive a copy of the cancellation form. Keep this form for proof of cancellation. All fees are paid in advance and are debited on the 1st of each month. No refunds are given for enrollment fees, prorates fees or past unused months. Memberships cannot be shared or transferred to another person at any time. Sun Time may attempt your monthly fee several times from your specified account. You will be charged a $5 delinquent fee if you draft is rejected, unpaid or late. If you debit is refused or returned by your credit card or bank 2 times, your membership will be cancelled, and you will still be responsible for fees accumulated. Delinquent accounts and fees may be paid in Sun Time stores. This debit authority will remain in effect until cancelled by your completion of a written cancellation form on the premises of Sun Time. You must come in to Sun Time to cancel or make any account changes. Phone cancellations or account changes are not accepted. As VIP monthly fees are prepaid, all cancellations or account changes are effective as of the 1st of the next calendar month. VIP Customers may “Freeze” their account after meeting theie minimum number of required drafts for $5 per month by signing a written Freeze form at Sun Time.